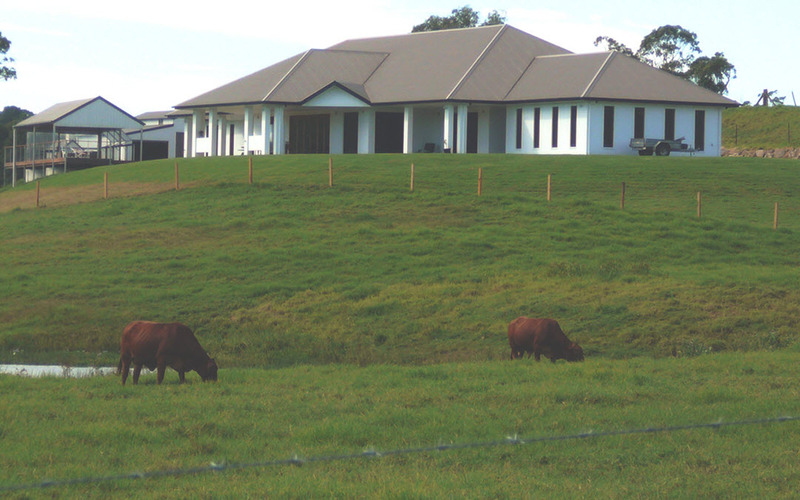 The summit is a stunning spacious 4 bedroom house on 30 acres of lush grazing land. It is conveniently located just a couple of minutes from the very popular wedding venue Flaxton Gardens, 5 minutes from the iconic Montville Shopping Village and easy driving distances to local wineries, eateries and all the fabulous Sunshine Coast Hinterland has to offer. It is in a very peaceful and picturesque location just perfect to relax or prepare for a wedding or other event and offers many opportunities for lovely rural photographs.